While at times, in exhausting moments, medical staff, continue to genuinely demonstrate a true sense of compassion. 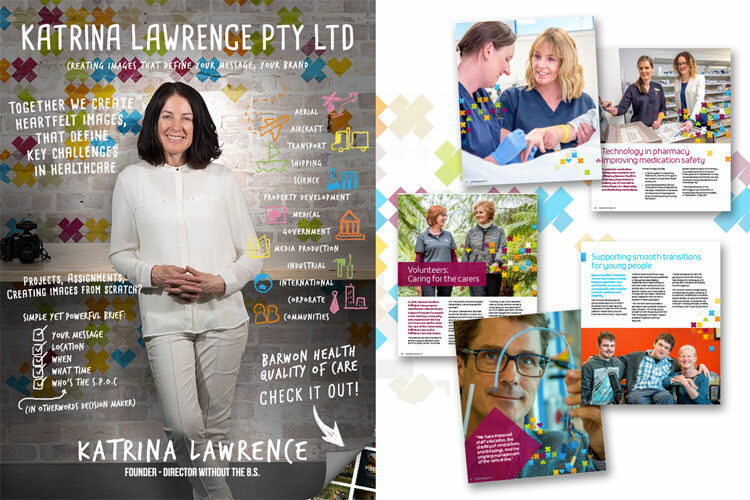 Katrina Lawrence Pty Ltd is privileged to be trusted to ensure we in-turn reciprocate with respect and professional attentiveness to the staff & patients and community, as the situation can change quickly. Occasionally there’s some negative flack in the press. Lets please take a step back & look deep, into a organisation, who provide exceptional health care within our community. I encourage community to make time to understand, gain a good sense of the magnitude of what it takes with logistics, to manage and deliver health care services. ICU able to report zero central line associated blood stream infections (CLABSIs) over consecutive years. ICU’s commitment to achieving world-class critical care and infection prevention. Reducing wastage of blood and blood products during cardiac surgery by cardiothoracic surgeons BoZhang and Andrew Cheng together with nurses fLisa Stevenson and Anissa Yttrup. Reducing waiting times for patients on their day of chemotherapy treatments within Andrew Love Cancer Centre. Robotic system dispensing medications, first of its type to be installed in an Australian health service. Having worked within the medical industry for 28 years, its without doubt, an absolute privilege to work alongside, a cross section of medical, management and volunteers dedicated to improve community health. Partnerships with Christ Church to protect vulnerable members of community against flu. Thank you, working along side you all, is an education, and absolute privilege. Working together with TCA Partners capturing images that demonstrate straight forward risk management approach to safety.